Barter Books : Blumer, Herbert : Critiques of Research in the Social Sciences. 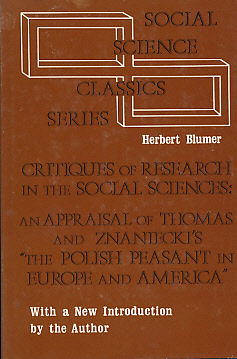 An Appraisal of Thomas and Znaniecki's The Polish Peasant in Europe and America. With a New Introduction by the Author. 240 x 150 mm (9 x 6 inches) - 210pp.